Apple is reportedly planning a switch to OLED screens for the iPhone, replacing the current LCD technology with one that produces a brighter, more vibrant image. The company will make the switch in 2018, according to a report in the Thursday morning edition of Japan's Nikkei newspaper, and has already begun talking to display makers to ensure sufficient supply. OLED (organic light emitting diode) technology is fundamentally different from the liquid crystal displays (LCDs) used in current iPhones and iPads. LCDs work by electronically switching pixels on and off so that light from a rear panel is either allowed through or not. With OLEDs, a small amount of organic material exists in each pixel, and applying a current causes the material to emit light. Because it doesn't require the back lighting panel or switching layer, OLED screens can be thinner. They're also more power efficient, and most people agree the resulting image is superior to an LCD. 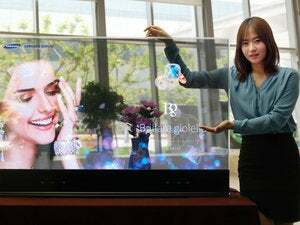 The technology isn't new, but display manufacturers have faced challenges in reliably and cheaply producing it in large volumes. 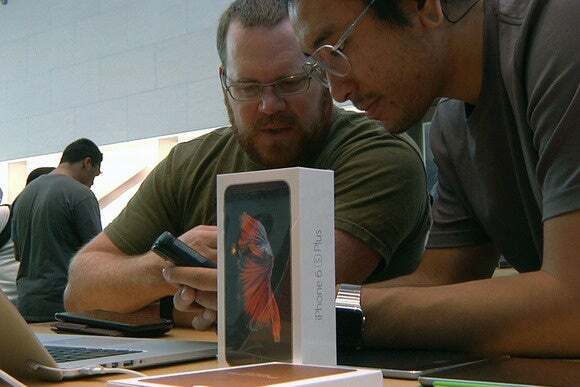 Right now, there's enough of a supply for its inclusion in flagship phones from Samsung, LG Electronics, Motorola and Nokia, but its use in the iPhone would require a further step in reliability and even lower costs. Nikkei reports that LG Display is planning a multi-billion dollar expansion of its OLED production line in Paju, north of Seoul, in anticipation of the switch. Apple will work with OLED makers in the coming year to evaluate the technology, but the newspaper said doubts remain about their ability to produce sufficient volume. Even with additional production from Samsung Electronics, the supply may not match expected iPhone demand, so Apple is said to be considering two models -- one with an OLED screen and one with a conventional LCD. Apple has been down this road before. Over the last few years it's reportedly investigated the use of sapphire glass for the iPhone display, but that hasn't happened yet, in part due to problems with volume manufacturing.